Build lessons in the Cloud. No computer or internet access needed during class time. Choose from 11 activities weekly. Works in every class format. Flexes to your classroom time. Multi-sensory teaching that immerses kids...helping them to grow in relationship with Jesus. DIG IN undated curriculum adapts to your unique ministry, giving you flexibility in all the places you need it the most. They all work with DIG IN: age graded, one room, large group/small group. Switch formats every week if you want; DIG IN flexes with you. Lessons are available for ages 3-6, grades 1 & 2, grades 3 & 4, and grades 5 & 6. And with your subscription, you get them all. Choose activities that complement each teacher's unique gifts, interests, and talents. All the activity blocks connect seamlessly with Core Bible Discovery. Build Lessons that last from 20 minutes to 2 hours. You pick your Activity Blocks and your lesson time adjusts dynamically. There's fresh, fun media for each lesson. You can use it or not, the choice is yours. Enjoy a steady stream of new programs...all within the easy to use DIG IN engine. You can even use more than one program at the same time. DIG IN lessons are easily edited in Microsoft Word® so you can tailor the content to fit your church's specific needs. DIG IN’s web-based platform allows lessons to be adapted to the natural strengths of each teacher and to the interests of the kids in the class. Select an activity block below to learn more about it. 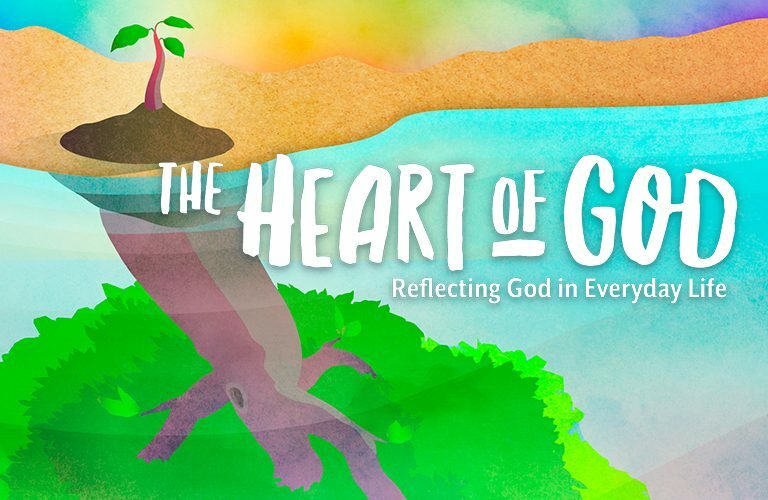 A warm, relational introduction to the Bible story. The heart of every lesson. An immersive, “you are there” way for kids to experience the Bible story. Kids have a time for prayer and to personalize what they’ve learned. For elementary, this block poses age-appropriate questions that drive Bible learning. For preschoolers, this block goes deeper into the Bible through interactive activities. An energetic way to interact with the Bible point—ideal for a larger space. 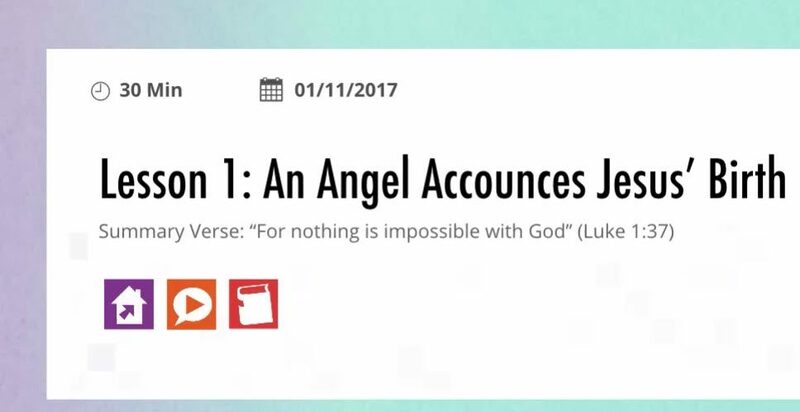 A fun way to interact with the Bible point—ideal for a less active option. 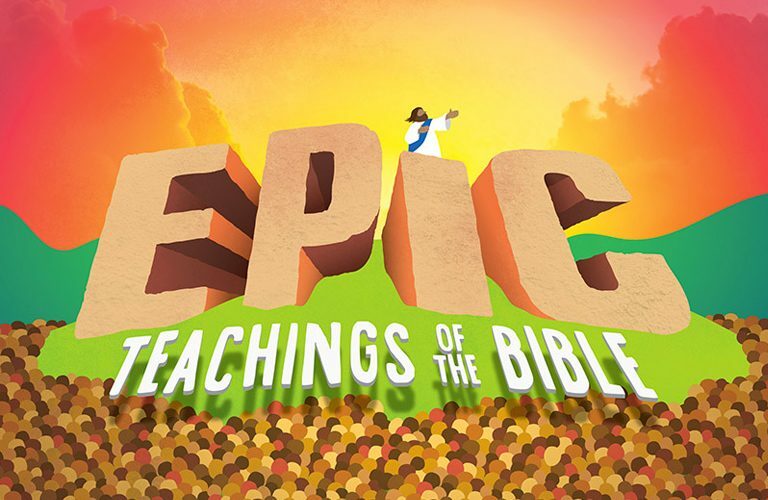 Make learning memorable with a tangible item or experiment that illustrates the Bible point in vivid 3D. Delight craft lovers with a simple, creative expression of what they’ve learned. Worship God with professionally produced kid-friendly songs. Visual learners love this fun way to engage with the Bible story or Bible point. A great way to equip families to talk throughout the week. Print to send home with kids, engage parents with emails, or post on your church website or social media. Take your kids from knowing about God to knowing God. Explore the guiding principles that drive lesson content for all Dig In programs. More than ever, kids need to understand Biblical concepts that guide them every day! Which DIG IN Program is Best for You? DIG IN creatively guides your kids to new discoveries about God and their faith. Count on DIG IN to provide an ongoing stream of fresh programs to keep teachers and kids excited and engaged. You can even use more than one program at the same time! Each program sold separately. Cancel at any time. DIG IN really lets our teachers teach to their strengths. It’s learning without the lecture, which is great for our kids and their diverse learning styles. And it gives us the freedom to incorporate our own traditions of worship, spirit-led prayer services, and full-scope teaching techniques. It’s a great setup for a small price! It gives teachers an exciting, creative, broad way of teaching to their strengths and giving the children well-reinforced God training! DIG IN fits my ministry needs perfectly!!! I am able to customize lessons to the exact format that works for the children in my multi-age class. My favorite part of DIG IN is no matter what you choose to add into your lesson, the Bible point is always emphasized. The children leave with such a rock-solid foundation of biblical truths! 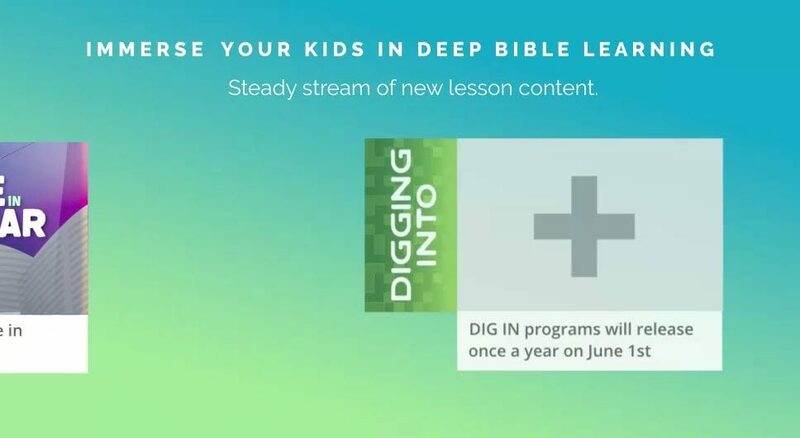 Group has always been my favorite source for children’s ministry needs, but they have knocked it out of the park with this curriculum—DIG IN is the most amazing children’s ministry curriculum I have ever used! Pricing is based on the average number of weekly students using the program, making it affordable for any size church and budget. No need to be tech-savvy! Each subscription includes an optional phone consultation with a DIG IN Specialist to get you started! Need to present DIG IN to a committee? 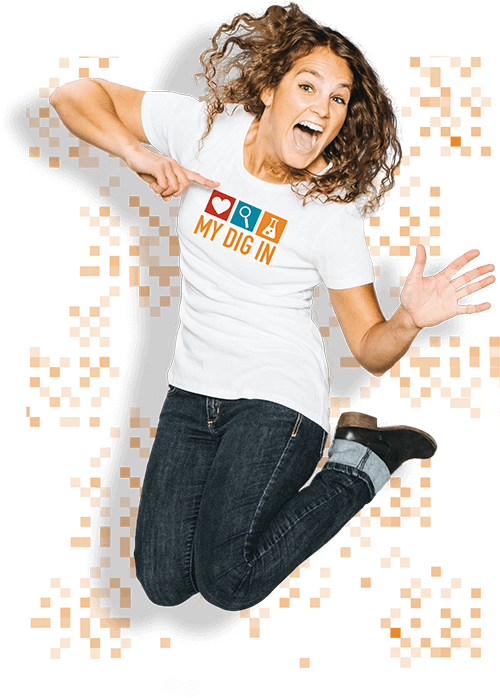 We’ve put together the tools you’ll need to show what DIG IN is all about. DIG IN works with the latest versions of Firefox, Safari, Chrome, and Internet Explorer. A computer with an internet connection is only needed to build lessons and download or print lesson content. In the classroom, teachers can teach from a hard-copy printout or mobile device. Quicktime 7 or Windows Media Player needed to play downloaded mp4 files. Or purchase a Quarterly Companion DVD and play video from a standard DVD player. What's the difference between the demo version and full version? The demo version gives you one lesson to build in any classroom format or any combination of the 11 Activity Blocks provided. With the full version you can create unlimited classrooms and each quarter includes 13 configurable lessons. The full version also includes a private web page for your teachers to access published lessons. Can I get additional sample lessons? Yes, within the demo you can view or download the first four lessons from each available program. Who writes your content and why should I trust them? Group Publishing has earned its excellent reputation in the field of children's ministry, with over forty years of experience equipping ministries across multiple Christian denominations. We stand behind our mission: "We create experiences that help people grow in relationship with Jesus and each other." Our team of editors comes with a lot of experience! Combined 93 years volunteering with children. Combined 93 years developing curriculum. Combined 16 years of experience working in a paid ministry setting. Combined 10 years of experience teaching at a school. 7 children and 6 grandchildren raised in Christian homes. • Experience leading children’s ministries in small, medium, and mega church settings. • DIG IN was originally developed by an editor with a Master of Divinity. Am I getting anything different when I purchase a license for 20 kids or 400 kids? All the tools and content are the same. We created DIG IN so it’s affordable for any size church or budget. A large church will spend less per student than a small church, but a smaller ministry will spend less overall. When will new programs become available? New programs are typically announced in January and released in June. When other programs come out, do I have to buy them separately? Each program is sold separately. You might choose to use multiple programs simultaneously with different age levels or for different purposes. For example, you might use Life of Jesus for Sunday school and The Bible In One Year for a Wednesday evening program. Do you automatically charge my credit card? When you purchase, you pay up front for your first quarter. Every 90 days, your credit card will be automatically charged for the next quarter before it’s delivered. You can cancel any time prior to the quarterly billing date. Once you’ve received all content for a specific program, the billing cycle will stop unless you purchase a different program. When does new quarterly content become available? Your quarterly content delivery schedule is based on the original purchase date of your program. So, for example, if you purchase “Digging Into the Life of Jesus” on June 15th, you will have immediate access to Quarter 1 upon purchase. Your next quarter will become available 90 days later on September 15th when your second payment is made and so on until you have paid for all four quarters. You can cancel or reactivate at any time. If you reactivate, your subscription will start with the next available quarter. Can I skip a quarter? No, all four quarters will be delivered in sequence. However, you can edit your delivery schedule to get your next quarter sooner, postpone it to a later date, or cancel your subscription and reactivate it later if desired. If I cancel my subscription, do I lose access to the lesson builder? No, once you’ve paid for a quarter, you have access to that lesson content for 15 months from the original purchase date. Cancelling a subscription just stops the billing cycle so you do not receive any new content until you choose to reactivate. Can I return DIG IN for a refund? No, Group’s company return policy states that "Products or services that include downloadable content are non-returnable once content has been delivered. All sales are final." However, you may cancel your subscription at any time to avoid future charges. Do I have to start this program in the fall? You can start a program at any time. You’ll always begin with Quarter 1 and continue through the scope and sequence. We provide additional holiday lessons for Christmas and Easter for you to drop in to your lesson plan as needed. Can I change the order of lessons? Lessons in DIG IN are intended to follow a specified scope and sequence, so they may not be re-ordered. You may choose to skip a lesson by not publishing it for your teachers to view. Since you can start DIG IN at any time of year, additional Christmas and Easter lessons will be provided to schedule in whenever needed. Can I make copies of lessons for my teachers? Yes, your license includes permission to print copies of lessons for any number of teachers or helpers within your church as long as they are only used with the number of students specified in your pricing tier. How many printed pages per lesson? Page count varies based on how you build each lesson; however, you can estimate about 12-pages of lesson content for an hour of teaching time. If you choose to use class handouts and/or take-home pages, you may decide to print these as well. Remember, you have the option to download lessons to an electronic device for teaching…or you can setup a Staples Advantage account, upload your lessons, and take advantage of highly discounted printing. DIG IN uses a web browser interface. There’s no software to install, so all you need is a PC or Mac connected to the Internet to build and publish lessons. It’s easy! And teachers can review and even teach lessons from a computer, tablet, or hard-copy printout. I don't have a way to show downloaded videos in a classroom. Can I get DVDs? Downloadable video files are included at no extra charge, but if you prefer to purchase physical DVDs, you may buy them directly from Group.com. There’s a separate DVD available for each quarter, so please specify the quarter(s) you need when placing your order. How are lessons organized in DIG IN? Before building lessons, you'll start by setting up classrooms. 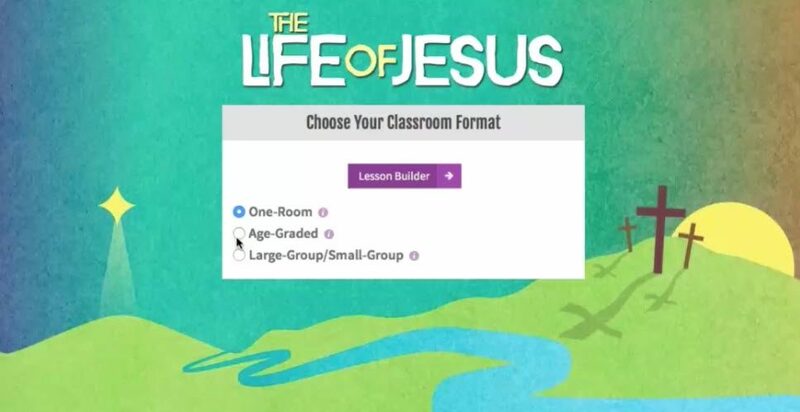 If your church has multiple services, you may want to name a classroom for each service, such as “9 a.m. Grades 1 & 2” so you can tailor each classroom experience to the particular preferences of the teachers or students involved. When creating a classroom, you can name it and choose the classroom format options such as age-graded, one room, or large-group/small-group. Taking this simple step also keeps teachers from accidentally changing another teacher’s lesson. Is there any limit to the number of classrooms I can create? You can create as many classrooms as you desire—it’s up to you. What are the different classroom formats available? There are three main classroom formats available. Choose Age-Graded Classrooms if your ministry has kids in separate classrooms for age-appropriate learning and activities. You may select up to four different age groupings. Choose One Room if your ministry has kids of various ages (from Preschool to 6th Grade) together in a single room. This option works well for a children’s church, midweek program, or smaller Sunday school program. Choose Large-Group/Small-Group to have all elementary-age kids gathered together for a portion of the lesson and then split into small group crews for interactive experiences and deeper discussions. Can I use DIG IN for an evening or midweek program? Absolutely! 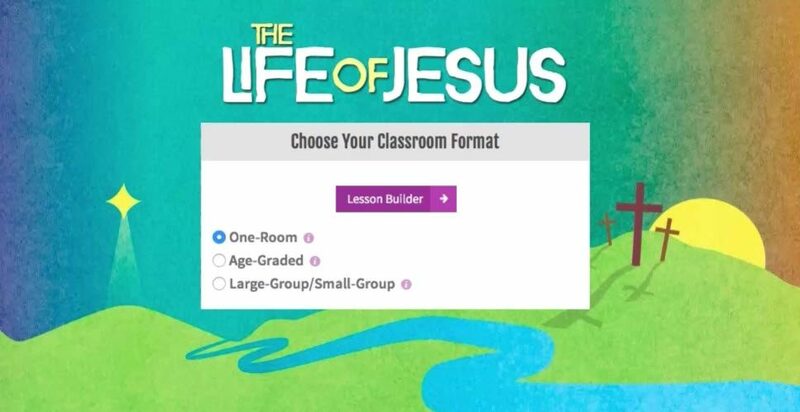 The One Room and Large-Group/Small-Group classroom formats work particularly well for children’s church, evening, or midweek programs. Can I play DIG IN videos through ProPresenter or MediaShout? Yes. You can download video files (in mp4 format) for use with your preferred presentation software. Can I view DIG IN videos online? Yes, all videos may also be streamed online on our Vimeo account at vimeo.com/digin. How long do I have access to DIG IN lesson content? You’ll be able to access quarterly lesson content for 15 months (1 year + 1 quarter) from the date of payment. Each quarter will have its own expiration date, shown in the Quarter dropdown within the Lesson Builder screen. You can also check the expiration date for quarterly content on the Account Settings > Subscriptions page. If you think of a lesson as a recipe, Activity Blocks are the ingredients. Each Activity Block has a specified time duration, and each block is connected to the main lesson point, so everything has a purpose. The most important block is the Core Bible Discovery block because it contains the central Bible story for the lesson. You can mix and match other blocks to add music, crafts, games, and other activities to your lesson to meet your needs for available time and teacher/student preference. What is the minimum and maximum length of a lesson? Every lesson offers 11 different activity blocks to mix and match. 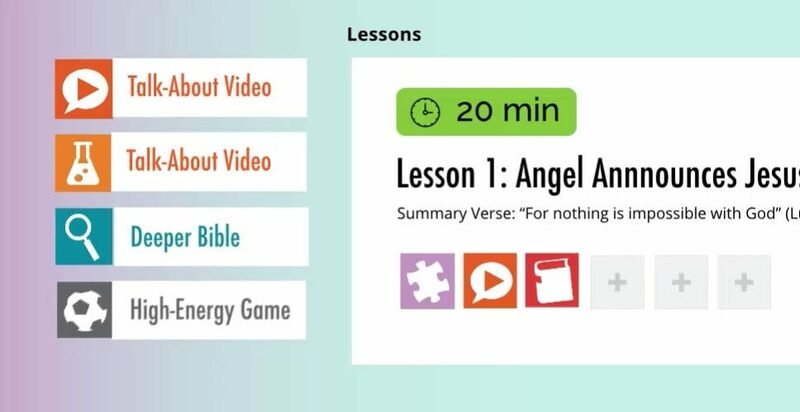 By default, we include the following blocks in every lesson: Opening, Core Bible Discovery, and Life Application Wrap-Up for a total of 30 minutes. If you choose to include all 11 available blocks, your total lesson time would be 1 hour, 55 minutes. Which Bible translation does DIG IN use? What does it mean to publish a lesson? Once you’ve built a lesson, you can add it to the list of Published Lessons for teachers to access online. Can teachers build their own lessons? 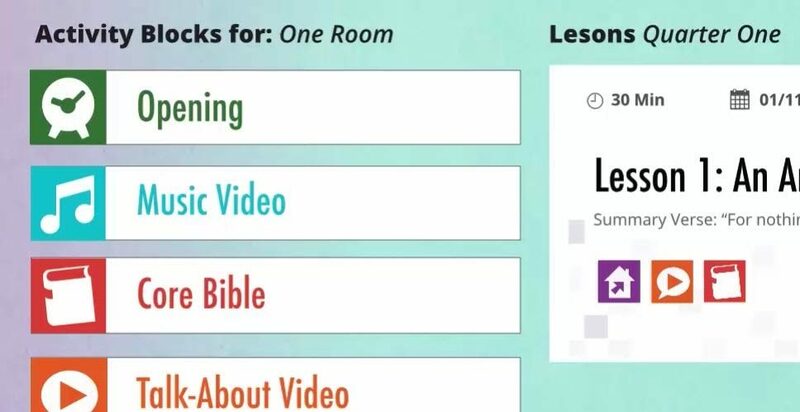 You can give each teacher his or her own login to view and/or download lesson content from the Published Lessons page. You can also choose whether to give individual teachers permission to build or edit lessons. What if my teachers aren’t tech savvy? Do they have to have a computer to use this? You may choose to print hard-copy lessons for your teachers or allow teachers to retrieve their own lessons from the Published Lessons page in your DIG IN account. It’s completely up to you. Is there any limit to the number of teacher logins I can set up? The more the merrier! You may set up as many teacher logins as needed to support the number of students in the pricing tier you have purchased. Do I have to assign teachers to classrooms? All teachers can view lessons for all classrooms. DIG IN is a flexible lesson builder that’s easy for you to manage—including giving your team full visibility so they can inspire one another. What happens when I have a substitute teacher? 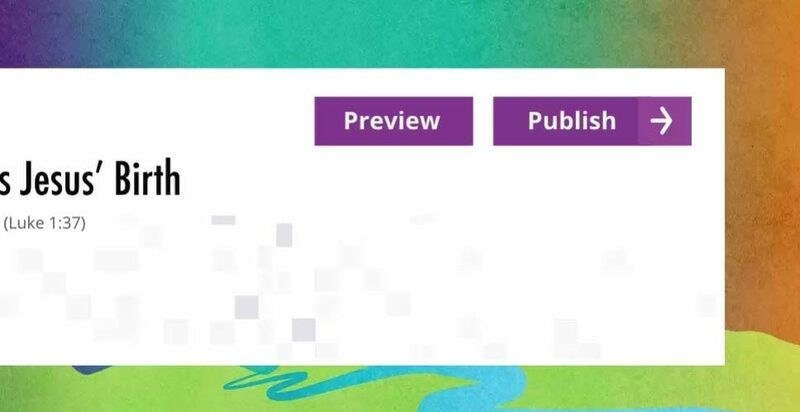 You have the option to print hard-copy lesson materials, download and email files to your sub, or set up a login for your sub so he or she can download his or her own lesson materials. You’re covered! Do my classrooms need computers or internet access? No. A computer with an internet connection is only needed to build lessons and download or print your lesson content. Within your classroom, your teachers can teach from a hardcopy printout or a mobile device. For video content, we recommend either downloading video files to a device connected to a TV or projector, or you can purchase a quarterly DVD and play the videos using a standard DVD player. I don't want to print out all of my lessons. Can I take my files to a printing service like Kinkos? Yes. We provide a permission release document here that you may take with you to any printing service to certify you have the rights to reproduce the materials for local church use.